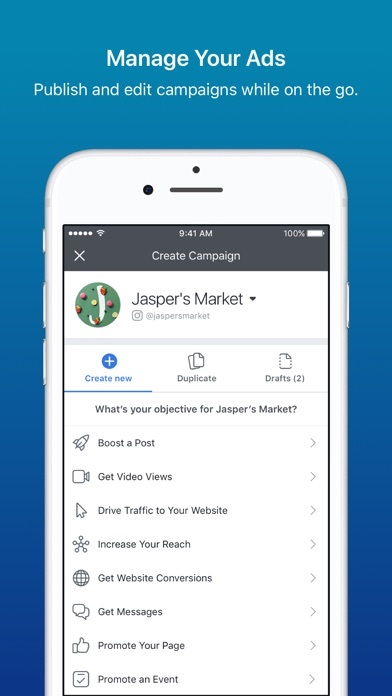 The Facebook Ads Manager app allows businesses to stay connected with their ad performance no matter where they are. 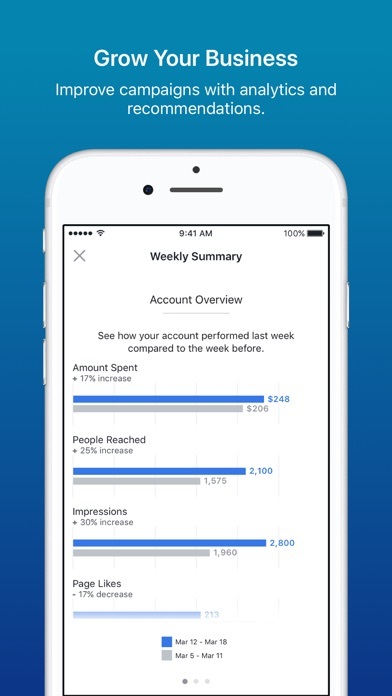 Easily create and track Facebook ads from your mobile device with powerful and efficient mobile tools. 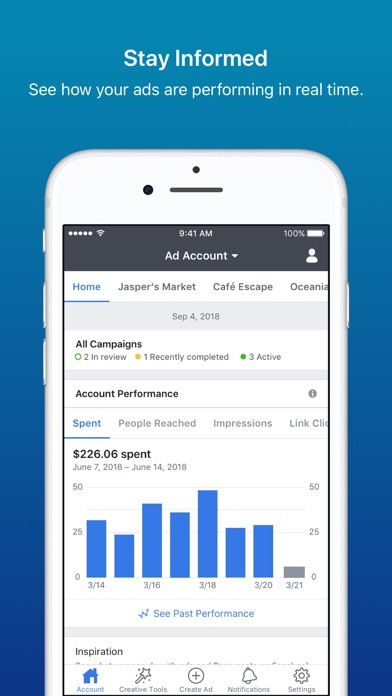 With Ads Manager App, you can: *See in-depth analytics that let you fully understand how your ads are performing at all times. *Use real-time results to optimize, edit or deactivate your ads, even after they've gone live. *Learn how to improve your ads using split testing, notifications and weekly summaries. 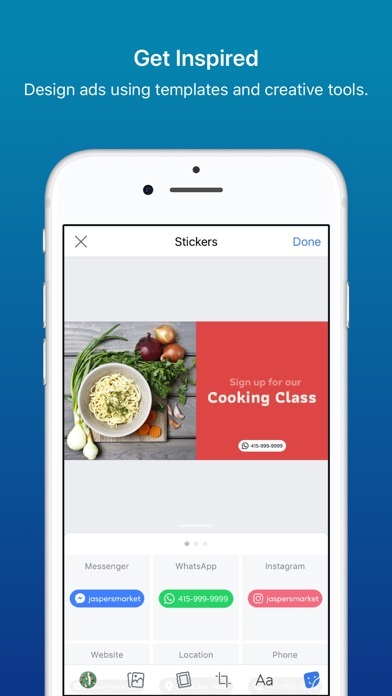 *Create and publish ad images with text, shapes, logos, stickers, filters, templates and more. 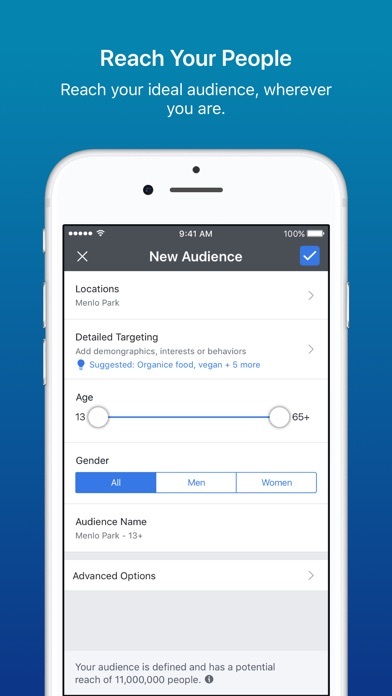 *Help your ads reach potential customers using our detailed targeting options. I can hardly ever get it to load and generally when it does I can’t make any changes or the screen just turns white. Tried updating the app and my phone and had terrible results with it. I wanted to like this app, but it is difficult to use and requires portrait mode. Cannot ever to talk to anyone or send a message? They need to get their act together!!! When I open the app, I am greeted by a blank white screen. I deleted, reinstalled, logged in, and... got the same thing. This app used to be great, but as of a few months ago it’s absolutely awful...it’s just shows a loading screen and won’t actually open and show anything. Waste of time and phone space.